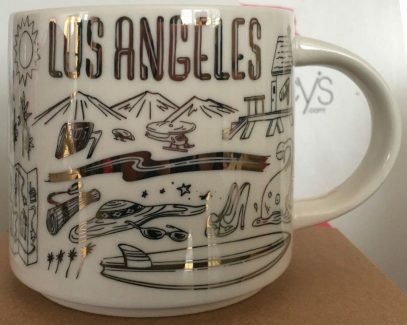 Starbucks Been There Christmas – Los Angeles is a Holiday Edition of Been There LA v2 mug. As a reminder there was v1 with the typo, where designers mistakenly placed wrong nickname: “City of the angels instead of “City of Angels”. See more about that error here.